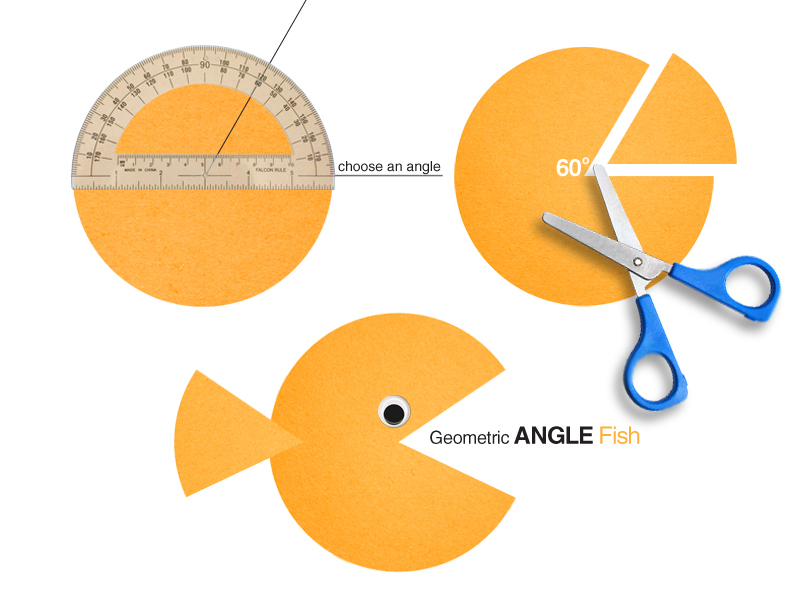 This math station game is inspired by Art in Education's Angle Fish drawings. Kids construct a fish out of a circle, using a protractor to create its mouth (make sure each kid creates a different angle). They cut out the angle and the chunk of paper becomes the caudal fin (or tail fin). Game: All of the fish get magnets put on them. For a fishing pole, use a stick with yarn and a magnet attached to the end. Kids go fishing for angles! When they catch a fish, they use a protractor and figure out the angle of its mouth. They write down the type of fish they caught (ex: 30 degree angle). They keep their fish. If they can't figure out the angle, they throw their fish back! Whoever has the most fish wins!